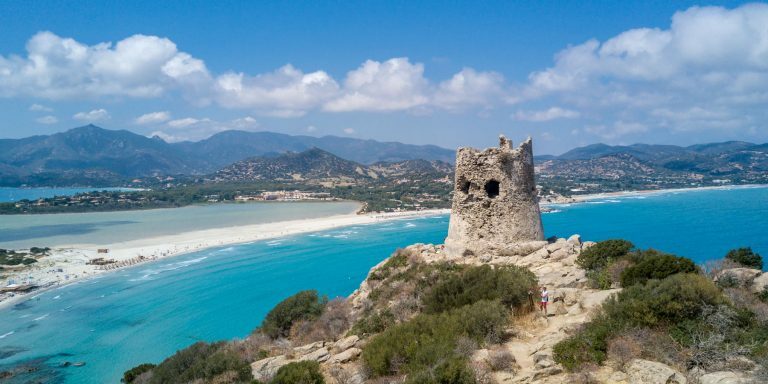 Sardinia is a land that needs no introduction. Its unmistakable sea and its environmental, historical and archaeological resources have made it a point of attraction for the holidays, but not just in summer! Thanks to the various and numerous air and sea connections, it is possible to reach this oasis of unforgettable relaxation all year round. Sardinia doesn’t close for holidays! Its people, its art, its millennial history and its natural beauties are here all year round at your disposal. 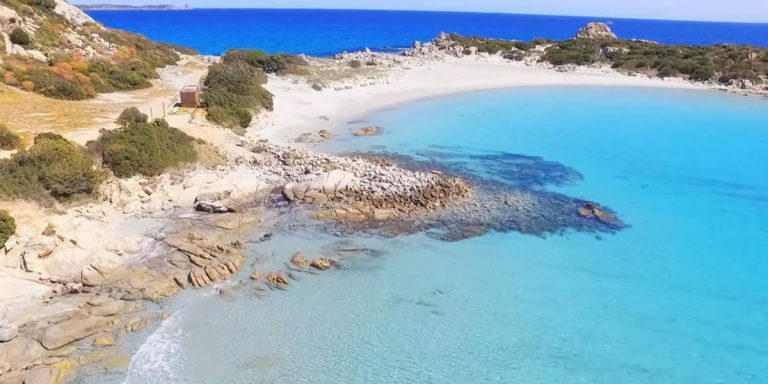 Villasimius is a beautiful and renowned tourist resort located in the south-east of Sardinia, its sunny and enchanting territory will make you fall in love with this island that will remain in your heart until your next holiday. Villasimius is the ideal destination for those who love nature, with its pristine green colouration, the white sand of its beaches, and one of the most limpid sea in the world. Get ready to live your holiday dream up close. Its location is truly unique. Villasimius extends into an isthmus surrounded by beaches of all kinds and a splendid and unforgettable sea that has long made it one of the most popular destinations of Italian and international tourism. 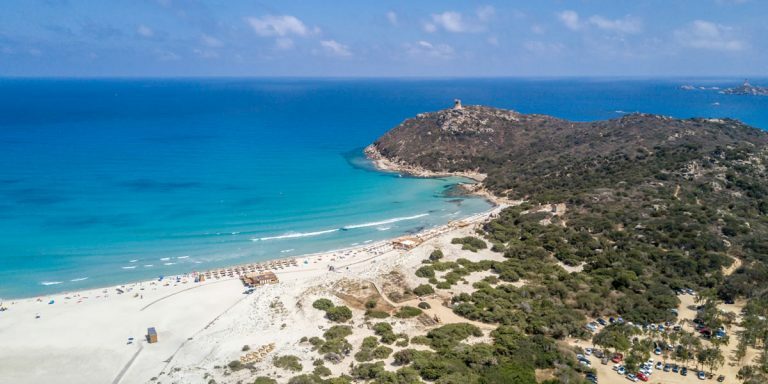 In recent years the natural heritage of the area has been protected with the establishment of the Marine Protected Area of Capo Carbonara, a further recognition for our pristine sea. Simius Beach is the main beach in Villasimius. Easily reachable on foot from the hotel either on foot or by car, Simius is a very white sandy beach with an incredible azure sea, transparent with shallow waters. The beach is well-equipped and has all the facilities available for you to spend your day relaxing by the sea. 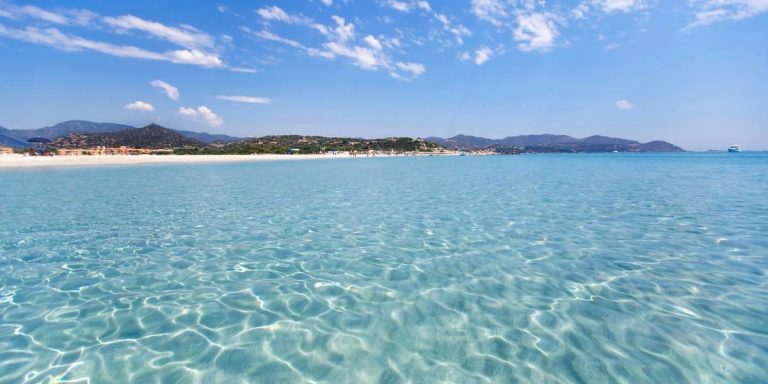 One of the most beautiful beaches in Sardinia, Porto Giunco is just a few minutes drive from the hotel. Porto Giunco is also known as the “beach of the two seas” due to the presence behind the beach of the Pond of Nottieri, habitual home of beautiful pink flamingos. Hop in the car and in just a few minutes you’ll find yourself in a real spectacle of nature: very fine white sand, rosy reflections and transparent sea. The seabed is very low and the whole area is surrounded by an intense Mediterranean scrub with an aroma that fills the air and colours it with green. The arch-shaped beach is sheltered from wind and currents.